Strawberries, apples, bananas, oranges, lemons, and grapes... Fruits not only have wonderful aromas; they also taste delicious! Fruits also come in different colors, almost as if they're trying to emphasize the sheer amount of vitamins that they contain. When you put fruits and girls in the same frame, you'll get a colorful, refreshing, and energizing combination! 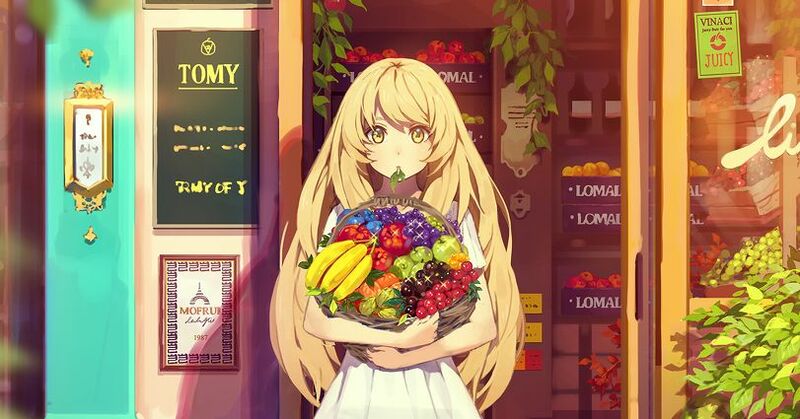 This time, we're featuring illustrations of fruits and girls. Enjoy!